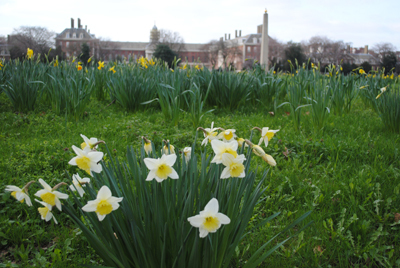 Daffodils blooming outside the Royal Hospital Chelsea. The final in our series on Winston Churchill will be published a day late this week on Thursday and This Week in London will be published on Friday. The Royal Hospital looks very small from that perspective!